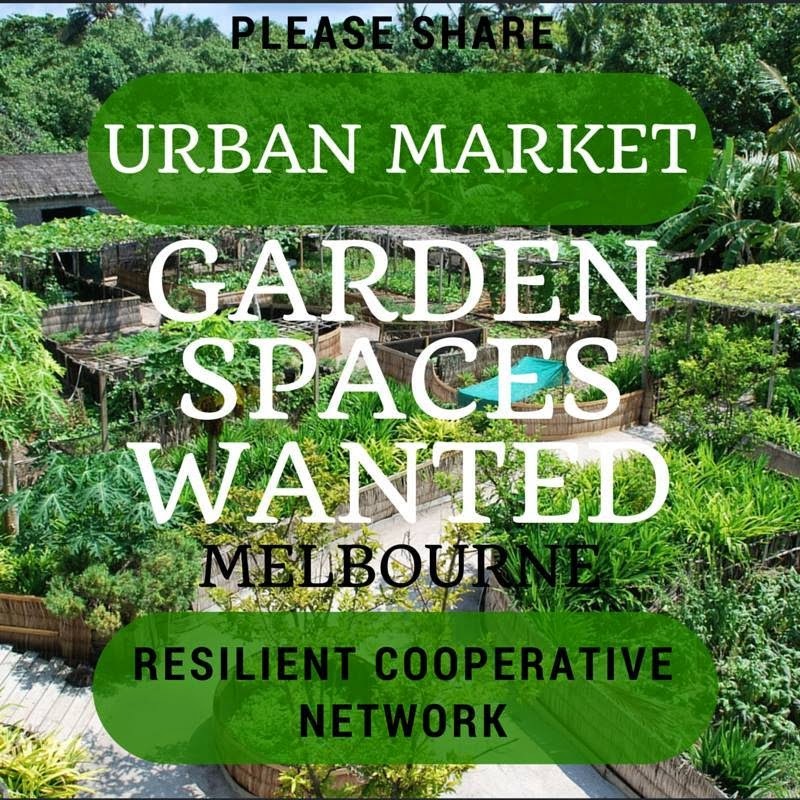 The Resilient Co-Op Network is looking for urban spaces to set up market gardens in Ashburton, Preston and Westgarth (and neighbouring suburbs). Do you know someone who has lawn that they wish could be used for something more practical? A professional or older person who doesn’t have the time or ability to care for their land the way that they would like? Someone who values good food and useful beautiful landscapes? Is it you? ...Your mum? ...Your neighbour? We are looking for: front yards, back yards or other vacant/unused land. If you are interested or you know someone who would be, we would love to connect and discuss the possibilities. In return you'll receive management of your garden space, fresh veggies and the knowledge that you are helping to bring food and food security back into the suburbs. Here's to more local food!